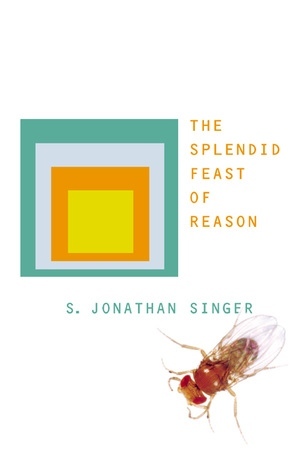 Jonathan Singer's witty, erudite book is a celebration of rationality and an urgent call to make use of intelligence and reason to better cope with human problems. Emphasizing the importance of rationality's greatest achievement, modern science, Singer—one of the foremost biologists of our era—argues that for the first time in several million years humanity has at its disposal the tools for an objective understanding of the external world. Singer demonstrates that, today more than ever, the fullest exercise of rationality is essential if humanity is to rein in a runaway technology and control an explosion of the human population that together threaten to devastate life on this planet within only a few more generations. The intrusion of reason and rationality into our largely irrational world has been painfully slow, uneven, and often unwelcome. Singer explains that for rationalists the founding of modern science—which took place only a few hundred years ago—has overthrown many of the myths of conventional wisdom and dogmas of traditional religions. Yet these beliefs still hold sway over the irrational world, obstructing efforts to deal sensibly with the problematic future of mankind. The core of The Splendid Feast of Reason is an engaging and accessible account of the knowledge that modern science provides. Singer offers an absorbing discussion of how life works, of the nature of reproduction, aging, and death, and of the necessary fragility of the individual life compared to the resilience of life itself. He emphasizes the primary role of the genes in determining the structural organization and the behaviors of living things, including humans. He also stresses the nature and mechanisms of biological evolution, mechanisms that have now been placed in jeopardy because of human ignorance and irrational appetites. Finally, Singer delves into the enigma of the real world with its irrational and chaotic operations and offers suggestions of how a rationalist can not only survive, but thrive in it. S. Jonathan Singer is Professor of Biology Emeritus and University Professor at the University of California, San Diego, and a member of the National Academy of Sciences.